BERKELEY, Calif. -- Berkeley city officials announced today they are offering a $15,000 reward for information leading to an arrest and conviction in the fatal shooting of a 22-year-old man earlier this month. Alex Goodwin, a Berkeley resident, was found when officers responded at 11:58 p.m. on Aug. 19 to a report of a shooting in the area of Burnett and Mabel streets, according to police. Goodwin was unresponsive and lying outside of his family's home. He was taken to a hospital, where he later died of his injuries, police said. No suspect information has been released in connection with the shooting, which was Berkeley's first homicide of 2016. 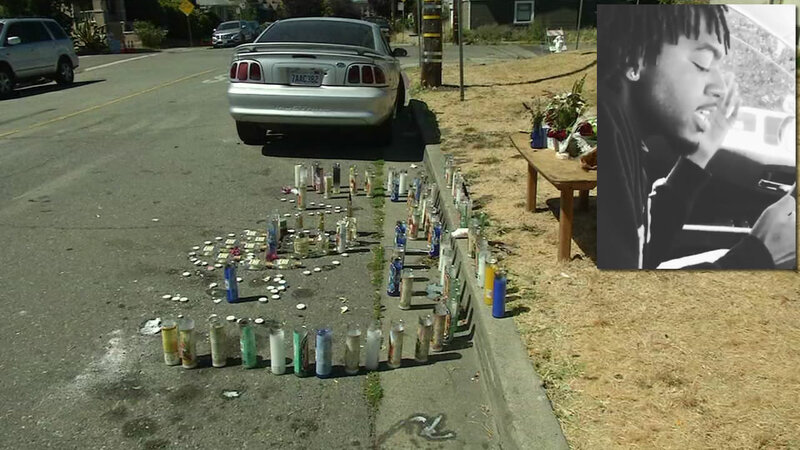 Anyone with information about the case is urged to call the Police Department's homicide detail at(510) 981-5741.